A large beech tree overlooks an old Chickasaw Indian trail that once ran near the Middle Fork of the Forked Deer River. 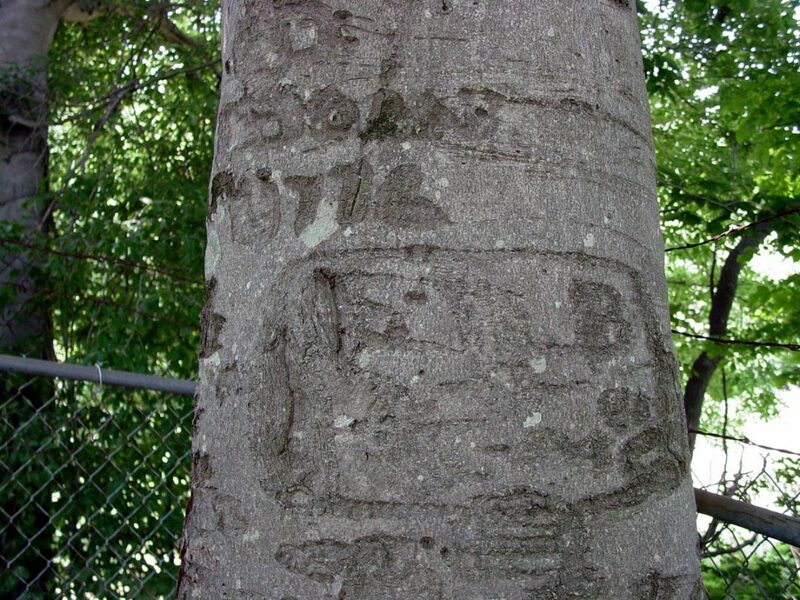 According to historic researchers, this tree is the only known remaining tree in Tennessee that contains carvings from Daniel Boone, which date back to 1776. In addition to Daniel’s carvings are those of his brother, Edward Boone, and a family friend, Micajah Callaway, known to be frequent companions of Boone’s early exploration and hunting trips. The early pioneer symbols carved on this tree give credibility to the time period and provide evidence of good trapping on the nearby river, an important point for early settlers. The tree has been aged at over five hundred years old, and stands in a field on Old Medina Road in Madison County.